You probably know Nick Spanos as the founder of the Bitcoin Center in New York City, a space next door to the New York Stock Exchange where people could buy and sell bitcoin in person. Now, Spanos is working on his next project — and he doesn’t believe blockchain entrepreneurs need government permission to change the world. 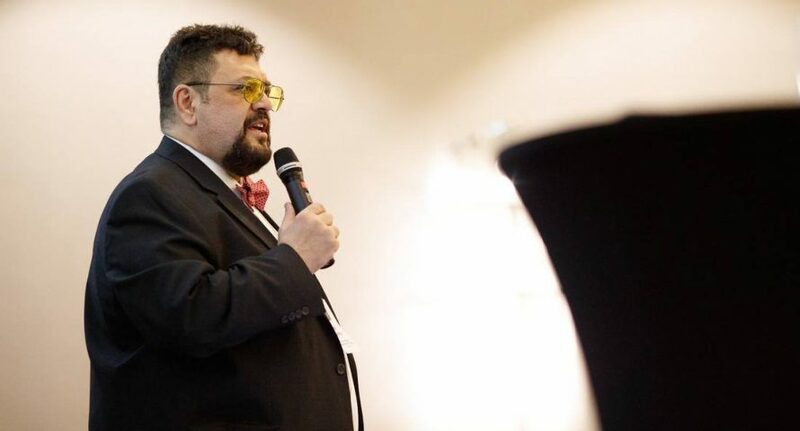 During his presentation at the World Blockchain Forum in New York, Bitcoin Center founder Nick Spanos talked about how technological innovation changed the world. Thanks to the great inventors of the past, Spanos said, we have technologies that revolutionized the world many times over. But what if those inventors asked for permission from regulators? If they did, Spanos speculated that they probably would have been denied. Then, we wouldn’t have planes, trains, or any other essential technology that powers modern society. That said, Spanos concluded: if they didn’t ask for permission, people in the blockchain space shouldn’t either. They should just build what they want, and the world will thank them for it later. This notion holds major importance to Spanos, having participated in many early, online industries. He built his own computer in 1978, then built a modem in the early days of the internet. From there, he developed precursors to Uber and AirBnB, and participated in the dot com boom of the 90s. Everyone thought he was crazy, he said, but now those same people all use the technologies he worked on from the very beginning. For Spanos, getting in early and ignoring detractors means taking back your personal freedoms. With the blockchain, he said, ignoring skeptics and building your own platforms will only increase individual liberty further — and will eventually change the entire world. These days, Spanos is working with his team at Zap.org to build a blockchain platform for sharing data. He still doesn’t care what anyone thinks, and he knows that his work will eventually lead to something great. Want to know what his new project is all about? Watch his World Blockchain Forum Presentation in full.